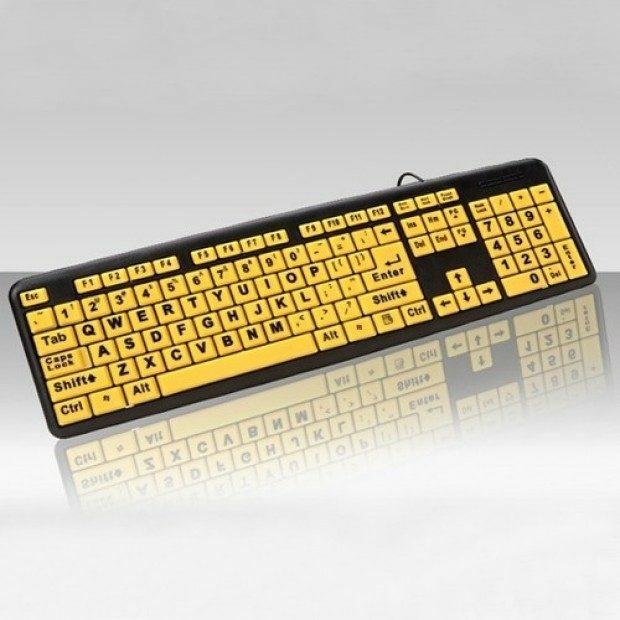 Large Print Spill Resistant Keyboard Only $6.99 Plus FREE Shipping! You are here: Home / Great Deals / Large Print Spill Resistant Keyboard Only $6.99 Plus FREE Shipping! Are you a hunt and peck typist? Make your hunting a whole lot easier! Do you struggle to see the keys on your regular keyboard? Are you constantly hitting the wrong keys? Then get the Large Print Spill Resistant Keyboard for Only $6.99 Plus FREE Shipping! The ergonomic design and big bold print makes it easy for you to see each key clearly. The EZ Eyes keyboard works on all Mac and PCs.